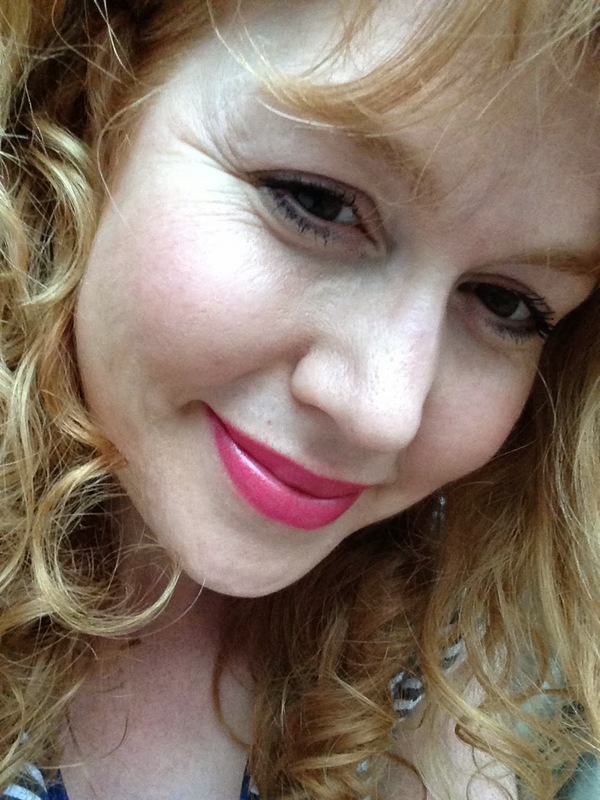 Hey there beautiful people, I thought I'd share with you a lipstick I've re-discovered from a while ago, its from Oriflame a Swedish online cosmetic company who have been around for more than 30 years (and are similar to Avon). 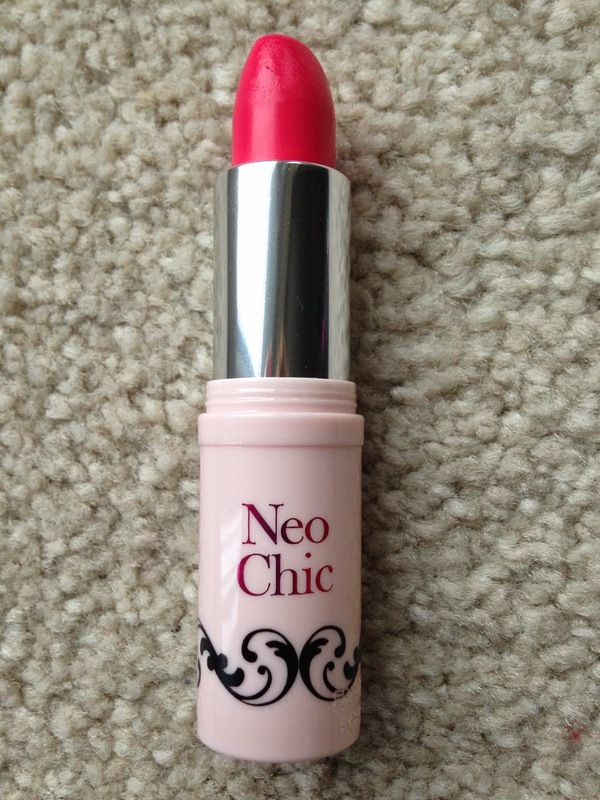 The colour of this lipstick is one of two Limited Editions from the Neo Chic range, its called Bright Pink, you can also get it in Fuschia. To start with I really love the packaging, I love the fact that it comes in a little box and the pattern on the tube is so cute, it really looks like it should be much more expensive than it actually is, it cost £5.95. My first thought when I saw this lipstick was "uh oh, its not going to suit me, look how bright it is" (which was a bit different from the colour online by the way, which is why I wasn't expecting it). But I was pleasantly surprised, yes, it is bright but its not matte, its sheer and therefore the colour is muted somewhat and gives a lovely sheen on your lips, it also smells really nice, like that old fashioned lipstick smell. 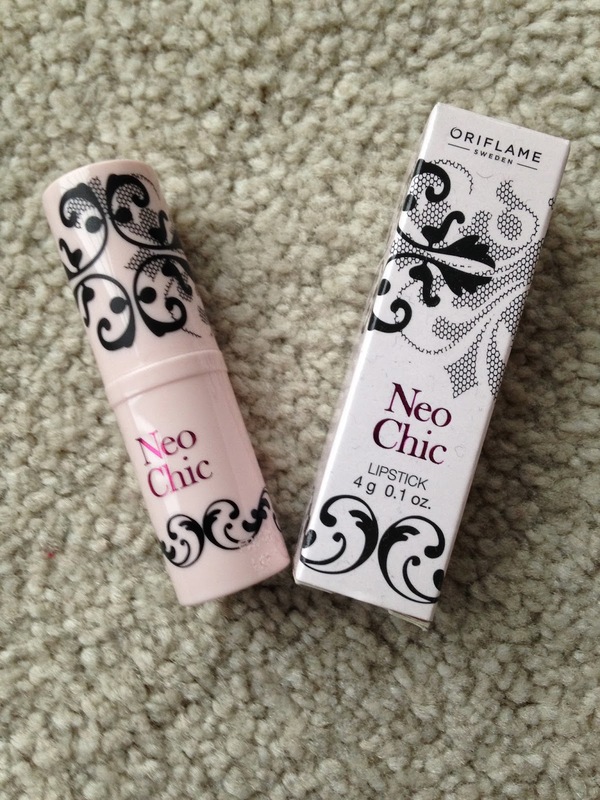 Its also a very moisturising lipstick, it does fade fairly quickly but doesn't disappear entirely so you're not left with completely bare lips and with a quick swoosh you can reapply and it will look as good as new. I'm definitely going to be buying more from Oriflame, either through a consultant or by signing up up as a consultant myself. Has anyone else tried Oriflame, what do you think of their products?